I had a look through my pattern designs and realised that even though animals are my favourite things to draw, I haven't actually featured them in any of the Over & over designs yet! 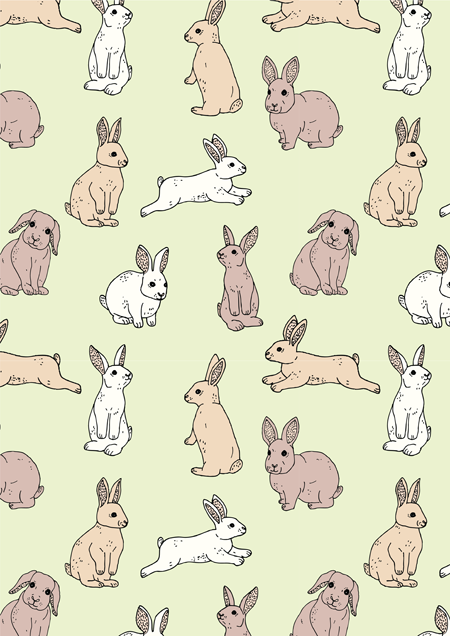 So I decided to change that this week, by making a pattern full of bunnies! This one was pretty fun to make, and I'll more than likely be doing another animal themed one next week! Maybe with different kinds of bears?